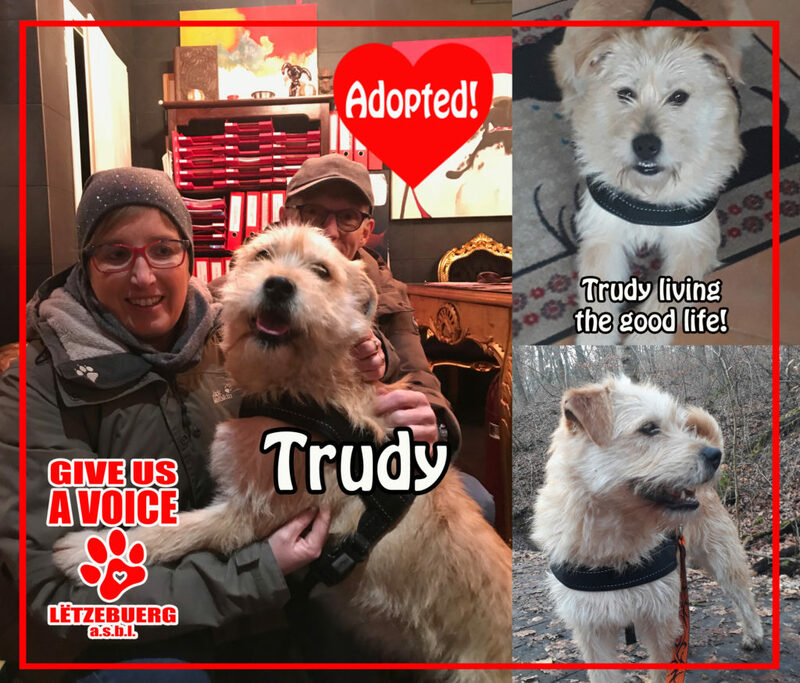 Great news, Trudy is adopted! This pretty girl went from wandering the streets of Hungary to becoming part of a loving family here in Luxembourg! GIVE US A VOICE would like to give a big THANK YOU to the Hoffmann family for giving a shelter dog a second chance at happiness. We know she is already enjoying her new life and so very thankful to have a family to call her own. Keep living the good life Trudy, you deserve it!